CHICAGO—The Museum of Contemporary Photography at Columbia College Chicago (MoCP) will present Stateless: Views of Global Migration from January 24 – March 31, 2019, featuring photographs, video, and multimedia installations by Bissane Al Charif, Leila Alaoui, Shimon Attie, Fidencio Fifield-Perez, Daniel Castro Garcia, Tomas van Houtryve, Omar Imam, and Hiwa K.
While global migration has existed for tens of thousands of years, we are currently facing an unprecedentedly vast movement of people across borders. Fueled by intense conflict, political battles, economic inequality, and climate change, global migration is at its highest level since World War II. According to the UN Refugee Agency, 68.5 million people were displaced in 2018, and of that number, 25.4 million have been designated as refugees, 10 million have been left stateless, and fewer than 105,000 have been resettled. 44,400 people each day are forced to flee their homes because of conflict and persecution. Stateless: Views of Global Migration seeks to humanize this stark data. Through the unique lenses of eight contemporary artists, this exhibition lays bare the contradictions inherent to the crisis, finding beauty and strength in the face of collective trauma. These powerful works of art bear witness, contemplate memory, and explore one’s human connectivity to place, even when one can no longer return. 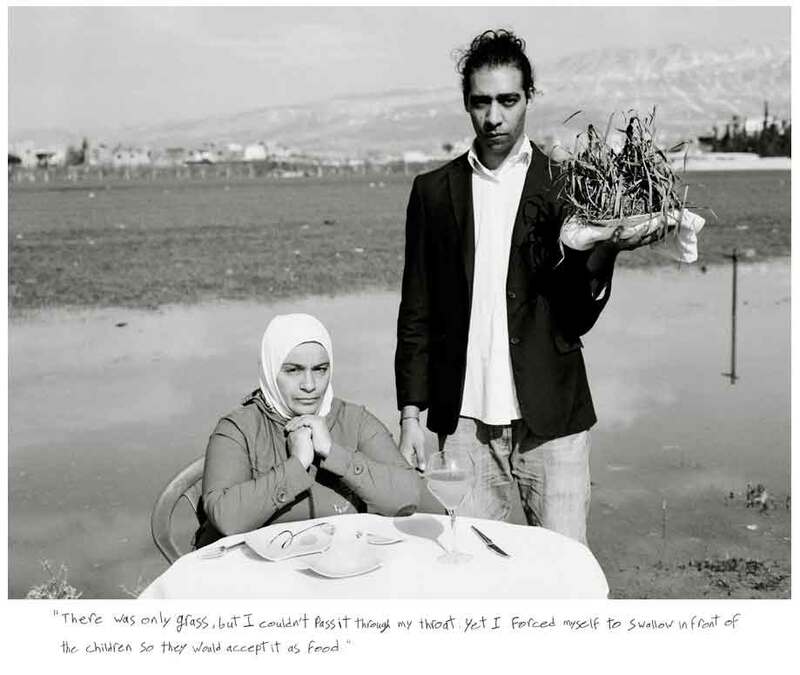 Highlights from the exhibition include Omar Imam’s photographic series Live, Love, Refugee (2015), wherein the artist, a political refugee himself, asks displaced people living in Lebanese refugee camps to re-create their dreams. The resulting staged photographs use irony and absurdism to reveal the darkness of trauma, while portraying the strength and resilience of his subjects. Works by Daniel Castro Garcia and Leila Alaoui examine the psychological impact of human migration, both photographing sub-Saharan migrants who have embarked upon life-threatening journeys across the Mediterranean Sea to Europe. While Garcia and Alaoui emphasize the emotional toll of the journey on individuals, Hiwa K., in his work A View From Above (2017), looks at the systemic challenges that confront asylum-seekers and the inhumanity of bureaucracy. Support for this exhibition is generously provided by The Andy Warhol Foundation for the Visual Arts and the Efroymson Family Fund. Community partners for Stateless: Views of Global Migration include Heartland Alliance and the Transatlantic Refugee Resettlement Network (TRRN). A one-day symposium, co-sponsored by the MoCP, Heartland Alliance, and the TRRN will be held on January 25, 2019. Exhibiting artist Shimon Attie will give a public lecture on February 6, 2019.